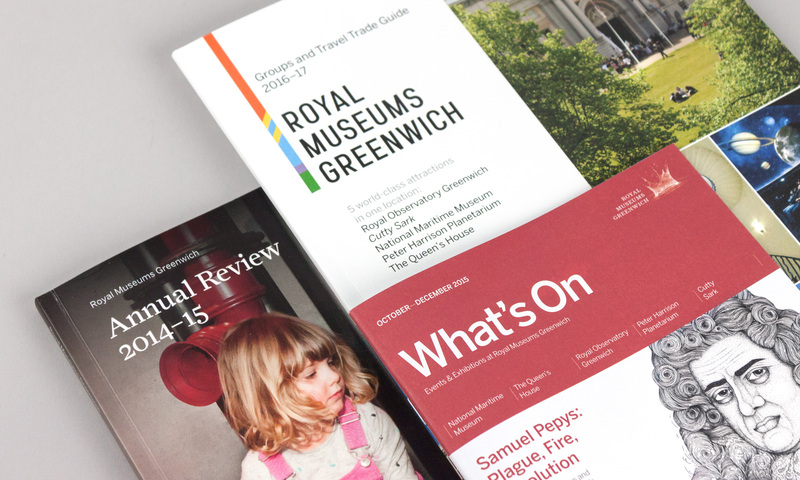 We’ve been busy creating another series of publications for our friends in Greenwich. First off the press was an elegant redesign of the Royal Museums’ Annual Review, completed by our newest designer Claudia. Next came the October–December edition of the Museums’ What’s On guide. Bradley Jay’s elaborately gruesome illustration of Samuel Pepys stares out from the cover, promoting their Ultimate #PepysShow ‘Plague, Fire, Revolution’. Finally our new guide to the five world-class attractions presents the museums to a travel trade audience.